Puppetry, a form of performing arts/theatre, involving the use and manipulation of puppets. This performing art dates back very long ago and it’s an ancient art form, originating 30,000 years (Source : Wikipedia). In modern times today, some performing arts are facing huge challenges, lesser people knows about puppetry, some even didn’t know about their existence, the younger generation today are influenced heavily by modern pop music, while the older generation that watches & enjoys puppetry, are slowly declining in numbers and probably didn’t pass the interest and passion of watching puppetry to their next generations. For myself, I confessed that I didn’t know much about puppetry in Singapore, its origins and what it brings to the society. 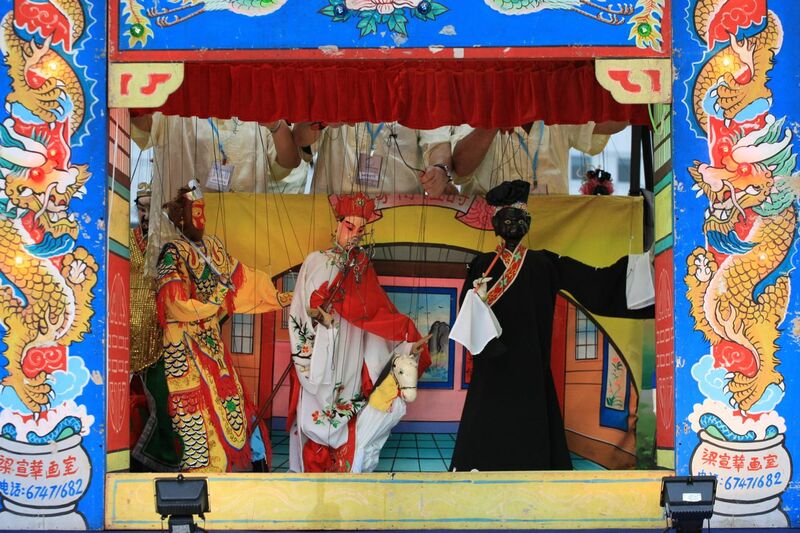 Therefore, it was a wonderful opportunity to be enlightened from watching, learning, photographing and documenting Sin Hoe Ping Puppet Troupe performing at Regenerating Communities at Empress Place on 17th February 2012. Regenerating Communities at Empress Place is a special 3 part arts and culture initiative featuring artists, art forms and programmes that draws Singapore’s rich heritage and culture, to bring it back to Empress Place, revitalise and reaffirm Empress Place as a heritage place. About the history of Sin Hoe Ping Puppet Troupe, although she was registered in 1981, her history dates back to before 1930s when it was known as De Yue Ban (德月班) in Putian, China. First and foremost, I have to thank Belinda Tan, for organising and coordinating, without her liaison and leadership, the group of photographers, bloggers, social media enthusiasts and arts enthusiasts, would not be able to gather over 16th and 17th February 2012 at ACM Green to watch Sin Hoe Ping Puppet Troupe performing, going to the back stage, capturing artists preparing the puppets, performing, playing musical instruments and singing. On top of that, we had many opportunities with Mr Yang Lai Hao (the puppet troupe leader of Sin Hoe Ping Puppet Troupe) for interviews, photo taking and listening to his puppetry experiences. 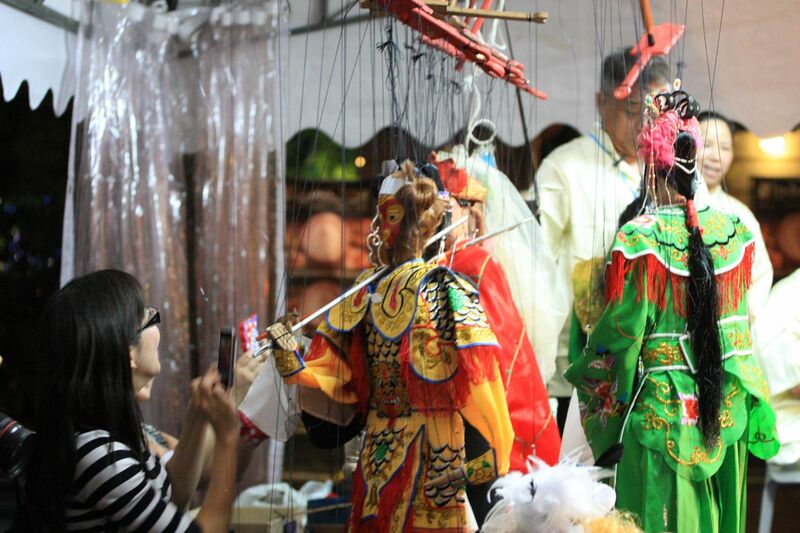 Puppetry is not just abt movements & the puppets, the artists behind controls the puppet, sings and all of these give the puppetry a special aura of live performance, storytelling in her own unique ways, supported by Chinese musical instruments producing the music. This was a very enriching and humbling experience for me, I never watched a puppetry performance in Singapore before. Therefore, it was a very rare opportunity to get so up close and personal to learn and watch something new to me, a performing arts that faces a very difficult future ahead in Singapore, due to succession for this form of puppetry arts performance and getting people of young and old to be interested in traditional arts performances. Currently embarked and sailing onwards to my personal exploration journey, to seek, photograph and document, history, culture and heritage in my home land, Singapore, of disappearing Old Places, Old Trades, helping and supporting protection, conservation, preservation of heritage, history and culture, from Bukit Brown to The Green Corridor. I will do my part to document, photograph, write and share on puppetry in Singapore, with the coverage of Sin Hoe Ping Art Troupe performance during Regenerating Communities at Empress Place. 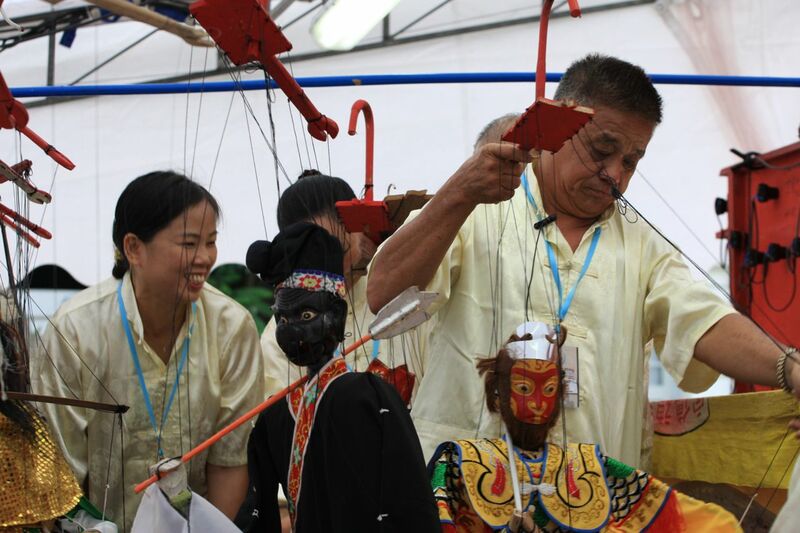 Mr Yang Lai Hao, the leader of Sin Hoe Ping Puppet Troupe, is currently searching for a successor to continue this beautiful ancient puppetry art performance, to continue the legacy of his forefathers and to keep this traditional art form alive into the future, for the future generations. I sincerely hope that his cousin from Putian, China, will be able to take over him and lead puppetry into the next few generations. Please kindly grant him the necessary paperwork and documentations to allow him to come over to Singapore and continue the legacy of puppetry. Check out more photos here on my Flickr! Let’s all do something to help keep our arts, traditions, cultures and heritage alive! 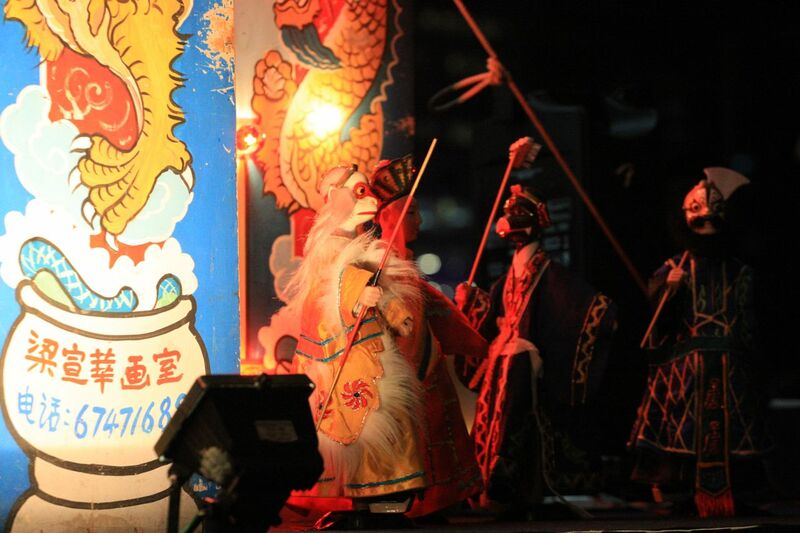 Spread the word, support Sin Hoe Ping Puppet Troupe and we all can learn from them!